Why is human capital so important? Human capital is intangible and cannot be directly purchased or sold. 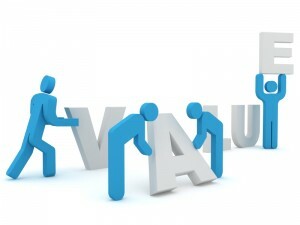 But most companies refer to it as their most valuable (and most expensive) asset: their people. In order to retain this valuable asset, companies need to consider the impact of real estate on people. A human capital strategy shapes the working environment and it is important to decipher what the real outcomes are when change occurs (both good and bad). Research and studies are available on how the modern workplace impacts people. It is valuable to measure to what extent your organization’s real estate environment impacts employee productivity. You also want to know if the workplace environment positively supports employee motivation, development and retention. What ways does your organization’s real estate strategy impact the Human Capital agenda? What extent does your organization’s IT and service offering impact the employee workplace experience? What impact on people do you foresee over the coming five years in respect to changing landscape in real estate? Looking ahead to 2020, anticipating employee expectations yield the best results to attract and retain talent. What advice would you give real estate companies when thinking about the workplace of the future? Share your ideas in the comments below. Human Capital experts provide lessons learned and how real estate companies can generate improved outcomes for people during the CoreNet Global 2015 Asia-Pacific Summit in Hong Kong in March. Experts for this session include Daniel Hutchinson, Eveline Noya, Caroline O’Brien, and Niccole Pritchard.